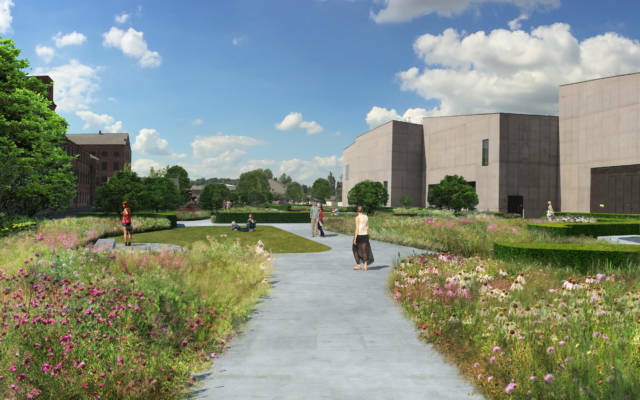 The Hepworth Wakefield is delighted to announce that the G&K Boyes Charitable Trust has generously awarded £100,000 in support of its ambition to transform the grassed area adjacent to the gallery into a beautifully landscaped garden, free for all to enjoy, created by leading designer Tom Stuart-Smith. 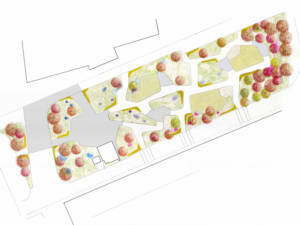 In March this year, The Hepworth Wakefield was granted planning permission to develop the 4,000 square metre site (around one acre) into an ambitious garden that will link the dramatic Sir David Chipperfield-designed gallery to the existing playground and soon-to-be-renovated Victorian mill complex with which it shares the waterfront site. This new funding adds to the £250,000 awarded by the Garfield Weston Foundation, generous contributions from a number of private individuals, and half of the prize money won by The Hepworth Wakefield when it was named Art Fund Museum of the Year 2017. To date, the gallery has raised 40% of the total funds needed before work can begin on the Garden. Stuart-Smith is an award-winning garden and landscape designer who has won eight gold medals and three ‘best in show’ at the prestigious RHS Chelsea Flower Show. He has designed the garden for Wakefield to create year-round interest for visitors. Early flowering trees and plants, including Japanese flowering cherry, magnolia species, snowdrops and hellebores, will be followed by complex meadow planting that will burst into full colour in the summer months. Late flowering asters and anemones together with trees such as Cornus kousa that turn deep red and orange will maintain colour throughout the autumn, and sculptural plants such as alliums and exotic grasses will create drama in the winter. It will incorporate well known plants with much rarer species, have a number of sites for outdoor sculptures and small lawned areas and seating on which people can relax. Visit our Garden page to find out more information or to donate to help our garden grow.